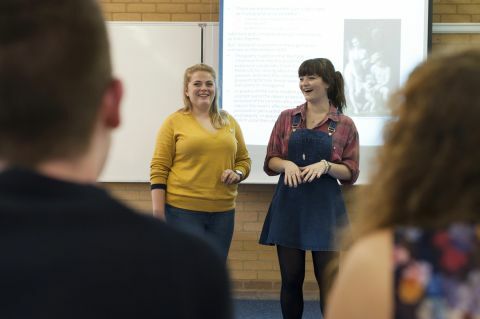 A Prezi on what to consider when planning and delivering a presentation from the University of East Anglia. A list of alternative software for creating presentation slides. Note that some features are only available in paid versions. Expert guidance on successful group work at university. Ebook (available to University of Reading members only). Aimed at business presenters, but good advice for all. Presentations are becoming more common as university assignments because they develop a range of skills in oral and visual communication. Delivering a presentation gives you the opportunity to gain immediate feedback on your ideas from your interaction with your audience and from the questions they ask. However, this immediacy often means students find presentations nerve-wracking. Even experienced lecturers still get nervous when presenting, as they may be unsure how the audience will react and receive the information. Some nervousness and adrenaline helps produce a good performance and shows you care about your work. With good planning, preparation, and practice you can feel confident of delivering a professional presentation that suits your style. This guide covers the key principles of keeping it simple and giving successful presentations.